McLaren 600LT track driving review | Car News, Reviews, & Pricing for New & Used Cars. 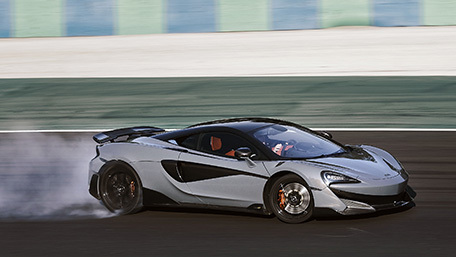 BUDAPEST, Hungary — There is no point when driving a McLaren 570S where you think, “Boy, this feels a bit soft, flabby and underpowered — what it really needs are some extra horses and a sharper setup.” And yet that’s exactly what McLaren has done for the 600LT, the brand’s newest addition to the Sports Series and latest chapter in the “Longtail” story. 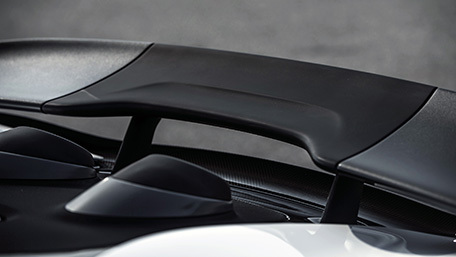 Literally, this equates to nearly three inches of extra aero-enhanced bodywork and more power. Emotionally, it represents a lot more. 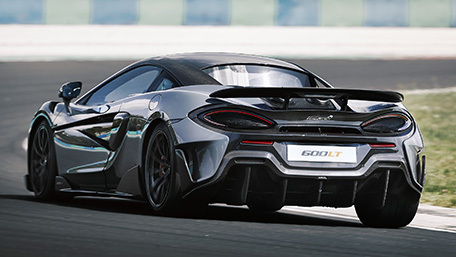 Given that the previous installments were the F1 GTR and 675LT, you have some sense of where the 600LT sits, and the expectation it needs to live up to. Junior supercar or not, there’s nothing babyish about this car’s intent. 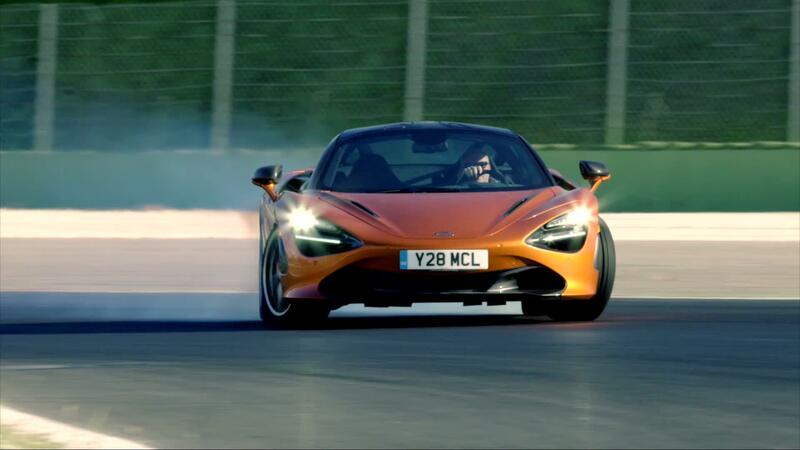 My previous experience of McLaren Sports Series cars on track includes lapping Silverstone in the 570GT. On street-spec Pirelli P Zero tires and with steel brakes, this supposedly comfort-oriented model pulled 168 mph down Hangar Straight and is agile enough to shame supposedly track-focused supercars from a class above. 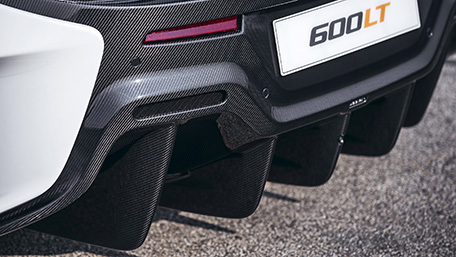 Yet the 600LT has an extra 30 horsepower, carries significantly less weight, and wears semi-slick Trofeo R rubber on its spindly forged wheels. Figures include peak output of 592 horsepower, 0-60 mph in 2.8 seconds, 0-124 mph in 8.2 seconds and a top speed of 204 mph, and cornering speeds have increased compared to the more powerful and sophisticated 675LT. Just how sharp do they want to make this thing? The answer comes on another F1 track, this time the Hungaroring on the outskirts of Budapest. Before I’m allowed out in the LT, I get a handful of sighting laps in a 570S, until now the sharpest Sports Series in the range and already a formidably fast and agile car in its own right. Like any McLaren, it has a lovely combination of superb visibility, a driver-focused cockpit, pin-sharp controls and huge punch from the 3.8-liter, twin-turbocharged V8. 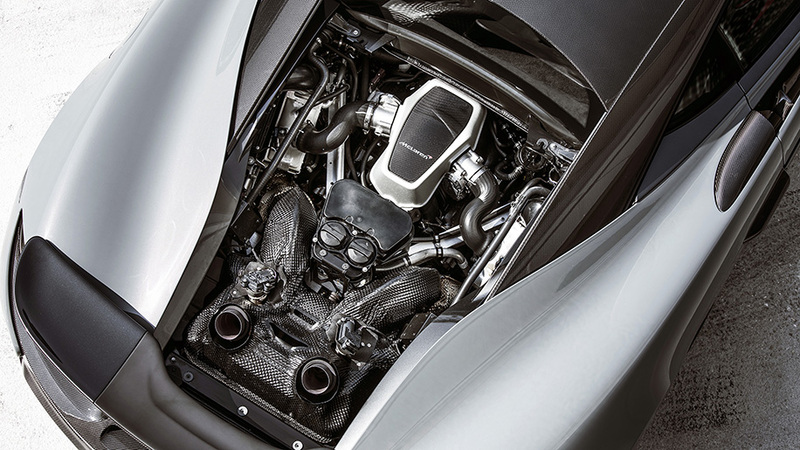 Where others mask their forced induction, McLaren has always seemed proud to highlight the Millennium Falcon-style rush of boost, the trademark lack of curb weight offsetting any sense of low-rev lethargy. And sure enough, the 570S demands that its driver is on top of things. Greedy throttle applications require corrections at the wheel, while late braking from high speeds causes the rear axle to break loose, writhing about in marked contrast to the locked-down Super Series 650S or 720S. What can I expect to be different in the 600LT? 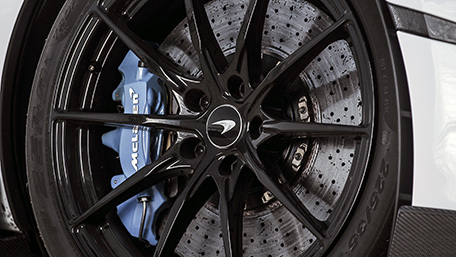 Headlines include a potential weight saving of 220 pounds over the 570S. I say potential because there’s a degree of smoke and mirrors when it comes to actual curb weights. Like many supercar brands, McLaren defaults to quoting dry weights, the best-case figure just 2,749 pounds for the 600LT. To achieve that, you have to go without air conditioning or infotainment, and specify the $6,060 Super-Lightweight Carbon Fiber Racing Seats from the Senna. But, with or without these options, weight has been trimmed from the wheels, carpeting, glazing, exhaust system and more. In a configuration you might reasonably want to spend time in (A/C is welcome on a hot Hungarian day and, like infotainment, free to option back in), the weight savings is probably more in the region of 175 pounds, but still significant enough to make a difference. More weight can be saved if you specify the $29,370 MSO Clubsport package, which includes those fancy seats, interior carbon fiber trim, carbon fiber roof and titanium wheel bolts. 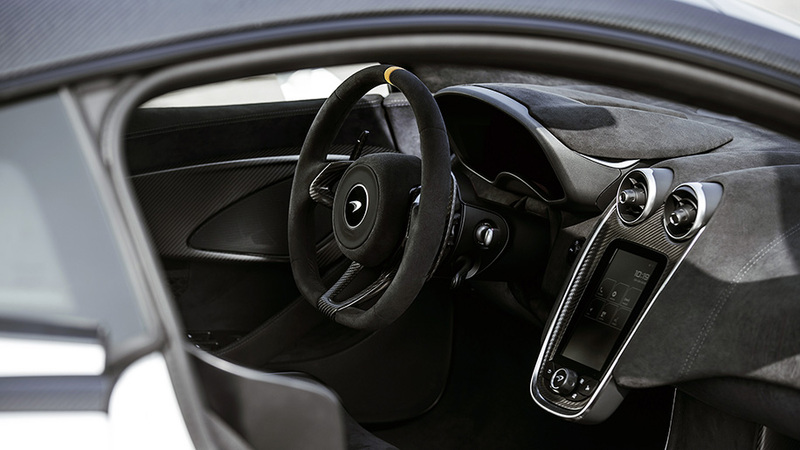 Overall, McLaren says as much as a quarter of the LT is new, additions including modified 720S suspension components in forged aluminum, a Senna-style brake booster, new wheels, that distinctive top-exit exhaust system, a fixed rear wing, faster steering response and a retuned chassis that significantly stiffens springs and sway bars with the aim of sharper turn-in and improved braking stability. For all the obvious aero additions, downforce is still a relatively modest 220 pounds at 155 mph. Compare this with the 1,763 pounds of downforce the Senna delivers at the same speed, and you’ll understand the LT is more about mechanicals than aero grip, something that very much informs the way it drives. I’d approached this event intending to compare the 600LT with the 488 Pista, given they share a similar track focus and weight-saving mentality. They’re to within 60 pounds or so of each other in terms of the latter, but the Ferrari has 710 horsepower. McLaren pointed out that a true competitor to that car would (should it happen) come from the 720S Super Series range. In reality, the 600LT is intended as a rival to the 911 GT2 RS or, perhaps, the Huracan Performante. It certainly has a similar sense of ferocity, evident even when peeling out of the pits and into the tight left-right complex at the start of the Hungaroring lap. The bark from those deck-mounted exhausts, shortened a foot and lightened by 27 pounds, is angry and immediately obvious. And there’s so much more grip and response than the 570S, I end up running the wheels over the grass on the inside of the first corner’s apex curb, attempting to compensate for the turn-in scrub I was expecting. Wow! 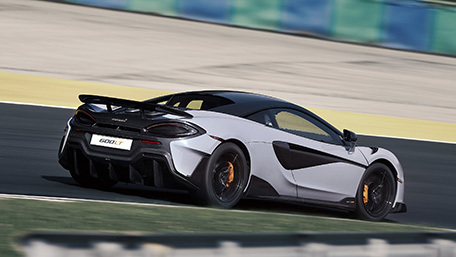 The P1 and Senna are faster, but the mechanically simpler 600LT pinballs the curbs and leans on its tread blocks, the feedback through the steering and super-stiff chassis more predictable for regular drivers as a result. There’s no letup on this circuit, and it should be utterly terrifying in a car like this. But the LT’s responses are so sharp you feel confident overlapping its inputs into one smoothly orchestrated process. You don’t need to be a natural left-foot braker to find yourself using both pedals at once, and the feel and weight through the hydraulically assisted steering is so perfect you know instinctively how much grip there is to give in the front axle and when (and how hard) you can get on the power. 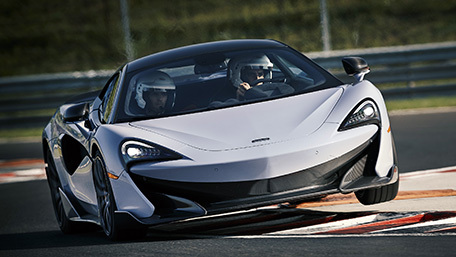 The 600LT feels totally alive in your hands and confidence-inspiring, even when you reach or breach the limits. As happens when I put the outside rear on a painted curb. The LT rotates into oversteer but it’s easily caught and quickly corrected before we power through and up the straight. 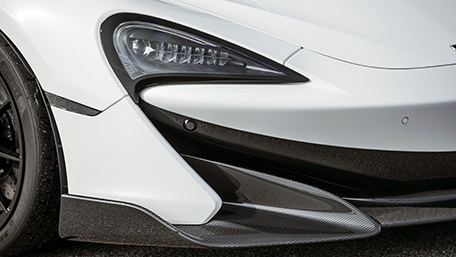 By now you’re probably licking your lips and saying, “How much, how many, and do I stand a chance of getting one?” There were 500 675LTs and a similar number of Spider versions, but McLaren is a little vague about the 600LT, saying production will not exceed 20 percent of overall Sports Series numbers and insisting it needs to be “for the few.” You may have the requisite $240,000 to hand over, but, if this is the first time you’ve crossed the threshold of a McLaren dealer, expect to have to demonstrate your loyalty to the brand before being granted an automatic build slot. McLaren has in the past been accused of sterility and a nerdy, tech-led approach to pure speed. The 675LT was a response to that criticism, and the 600LT is yet another. The way it spits, bangs and pops its way around a track and the sheer intensity of its responses reveal a new willingness to cut loose. It’s not macho like a GT2 RS or as flamboyant and attention seeking as a Performante, but the 600LT reveals a newly playful side in McLaren. The best compliment I can pay is that it feels like a 600-hp Lotus, the equivalent lack of weight and purity of response paired with a sense of the exotic and sheer potency no Exige or Evora could hope to match. It may be the halo of the Sports Series range, but underneath it’s quite simply the most entertaining model McLaren has yet built.